True Fact: I absolutely hate browsing through paper flyers. I dislike it so much that I’ve canceled the delivery of my free local newspaper. I never browse through flyers and end up having tons of paper to recycle every other week. Disclosure: I was invited by reebee to share my thoughts on their app. I received compensation in exchange for my participation in this campaign. The opinions on this blog are my own. Luckily, there is now a new, faster and more environmentally friendly way to browse through flyers. Introducing the free reebee app! reebee is a free app found in the app store that has an electronic version every current flyer you need. It’s got special features such as a search key to help you find specific products immediately (ie. Tylenol). On reebee, you can easily create a list by clicking on items you need to purchase in a flyer. You can also add items to your list that aren’t found in flyers (ie. milk). reebee also had a sneak peek to upcoming flyers so you can plan a little farther in advance. reebee is very easy to use. I have been using it for almost one month. 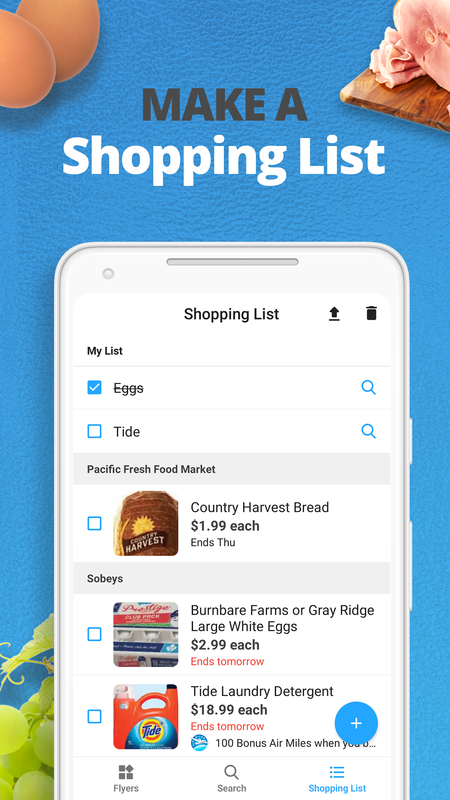 I open the app to plan out my shopping trip and always open the app when entering the store to see my shopping list. Since I rarely browsed through paper flyers, I’ve noticed that I have already saved so much money because I can now easily spot specials and deals. It’s simple to see what’s on sale with the reebee app. I’ve even used the app to price match items at my favourite grocery store. On average, reebee users save around $3978 per year on groceries using the latest deals/flyers found on reebee and through price-matching. Using reebee is the easiest way to save money on your families biggest expenditure. Having flyers at my fingertips is convenient and helpful. I’m so pleased to have reebee on my phone! I highly recommend you check out the new reebee app, download it and start using it now! reebee wants to know! What flyer do you search the most on their app? Tell us in the comments below and you’ll be entered to win a $50 Visa Gift Card to spend at your favourite store. Giveaway open to Canadian residents. Mandatory question must be answered to be eligible to win. Giveaway runs from Feb 6 – Feb 16, 2019. Void where prohibited. See my terms & conditions for full giveaway info. I search through the Superstore. I search Shopper’s Drug Mart’s flyer the most! Sobeys is my main flyer. I love apps and this takes the cake, a thousand less trips now I have to take! FreshCo flyer is the one I go to! I search for Shoppers Drug Mart the most. I check the valu-mart flyer. I just started using the reebee app, and tried the Superstore flyer. I always look for the No Frills flyer on reebee. I most often search the Shopper’s Drug Mart’s flyer. I usually check for sales on groceries at no frills and Walmart before I go shopping . I always look up Shopper’s Drug Mart’s flyer. I search the Food Basics flyer the most often. Usually the stores closest to me including Safeway and Shoppers. I search Walmart the most! I search Walmart the most. 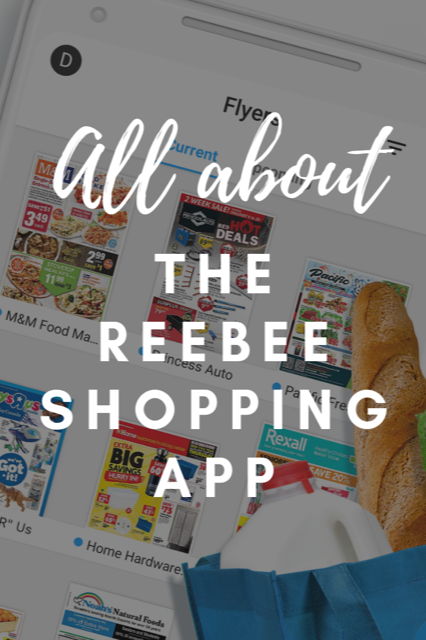 I use the Reebee app to mostly look at Grocery flyers. I think Costco, Food Basics, and Walmart are my most viewed flyers, and I have saved them in my favourites to easily refer to them when I need to. Love No Frills and their sales, so I search it! I search for the safeway flyer the most often! I search the walmart flyer most often. I often search No Frills to check their weekly specials and ways I can spend wisely on groceries. I always check the Sobeys flyer. I mostly search for deals at Walmart,I love Walmart! Walmart and Superstore are my usual searches. I search Food Basics and Freshco. I search No Frills and Sobeys. Both are within a few minutes from me. Walmart, Superstore and Safeway for me! Love being able to compare prices without having to drive around. I use Reebee to compare all my local stores to decide where to go and price match to save even more! I just downloaded Reebee and so far i use it for Real Canadian Superstore the most. I search the flyers from Real Canadian Superstore. I usually search for the Superstore flyer! I would often search the Real Canadian Superstore flyer. I look most often for the Walmart flyer. Canadian Tire is the flyer I look through most often on Reebee! I usually use the search function for items that I want but I would have to say no frills. I search the Walmart flyer the most. Probably M&M Food or Wholesale club. I search for a local store named Dutchies. Shoppers Drug Mart and Walmart are the two I search for most. I search Loblaws most often ! For us, it is Superstore and Sobeys flyers since those are the closest two. Thanks! Actually I search for all AIR MILES the most on Reebee. It’s the first thing I do when I launch the app. I search for Fortinos the most! 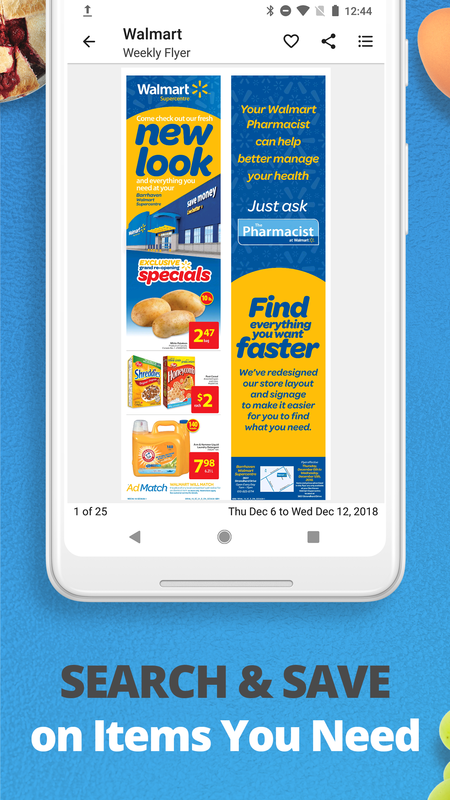 I use reebee to search Walmart flyers the most. I use Safeway and SDM lot! I often search the Walmart flyer on Reebee. I search Zehrs the most on my Reebee app! 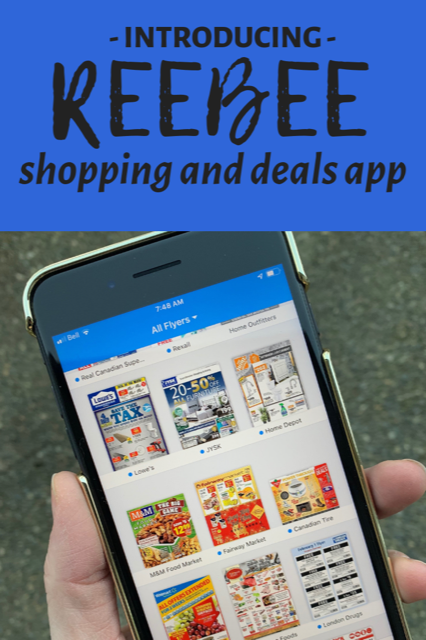 Walmart is the top flyer that I use on Reebee! I search for Loblaws the most. I search the Sobey’s flyer most often. Another hunting the grocery flyers. Usually Save On Foods is first. I search the superstore flyer the most. I search Loblaws flyer first. I search Giant Tiger the most. I usually check the Sobeys’ flyer on Rebee during every shopping trip. I search the Walmart flyer the most often. I search the Sobey’s flyer the most on the Reebee app. Walmart flyer for sure! Thanks! I often search the No Frills flyer the most on Reebee.